The air was muggy outside Whitney Lab, off road 1A1 south of St. Augustine, Florida. But I had a freshly made chicken salad sandwich, and I didn't feel like staying indoors for lunch. So I found myself a flat rock out by the water and opened a bag of salty chips. Off to my right I detected movement. 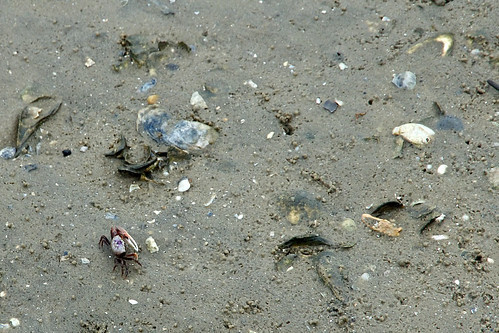 At first I couldn't see what had caught my eye, but then I noticed a Fiddler Crab making his way back to the safety of his hole in the sand. You know how these things are. Once your sight becomes attuned to the environment, you suddenly see what's really going on around you. 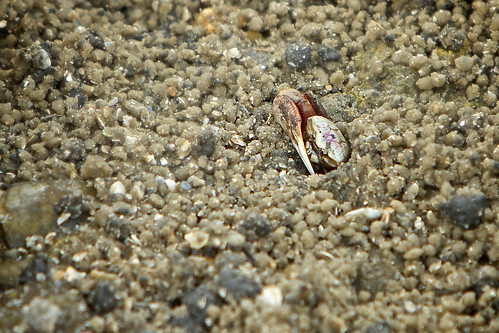 One by one I noticed dozens of these little guys with the big right claw. I finished my sandwich, then changed lenses on the Canon 60D I had in my shoulder bag. I went with the 70-200mm f/2.8 zoom to give me a bit more reach. 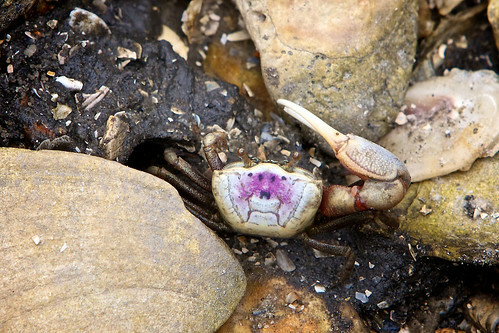 Not far from where I was sitting, I discovered this flamboyant crab who emerged from his very elegant home complete with rock patio cover. He motioned to me with his large right claw. As long I didn't move too fast, he would stay outside for a visit. I had forgotten about the humidity. In fact, quite a while had passed before I remembered that I was on lunch break and should get back to work. And it only took me 15 minutes or so to cool back to room temperature once back inside. I join Frederick Van Johnson and crew for the This Week in Photo show titled, "Viva Las Vegas." Yes, the US Postal Service used an image of the Statue of Liberty from Las Vegas, not New York, for its stamp. We talk about that and much more in this episode that also includes Alex Lindsey and Richard Harrington. It's a fun show. You might want to tune in. onOne Software has borrowed one of Photoshop's most hallowed features, Layers, and created a plug-in for two of our favorite nondestructive photo management applications: Lightroom and Aperture. 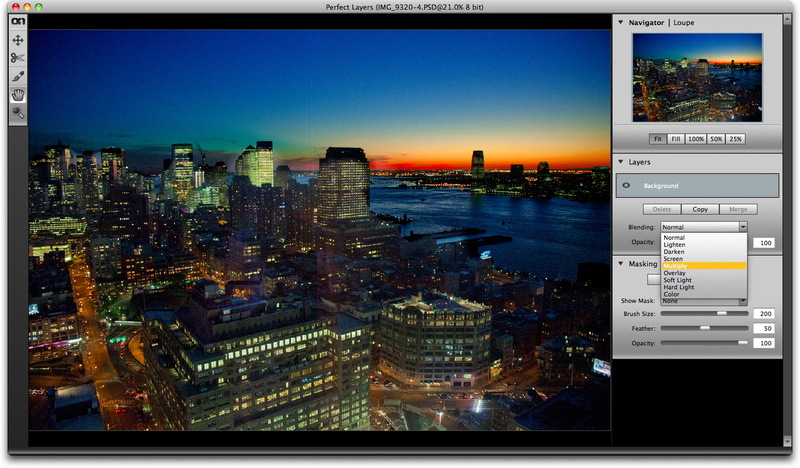 Perfect Layers is currently available as a free public preview for Lightroom users. The 1.0 version of the software is due to be released later this year, with added compatibility for Aperture and Adobe Bridge. I've tested this current 0.9 release, and have a brief overview for you. This image started in Perfect Layers, then went to Photoshop. When I opened it back up in Perfect Layers, it had been been flattened. Perfect Layers behaves as a typical plug-in. You can access it in Lightroom via File > Plug-in Extras. First I had to enable it via the Plug-in Manager. To do that, I navigated to the Perfect Layers folder that was installed in Applications folder after I downloaded it from the onOne site. You can start with any file in your Lightroom library: Raw, Jpeg, etc. Perfect Layers creates a separate Photoshop file and opens it in its interface. You don't get something for nothing at this point. I started with a 29 MB Raw file, and ended up with a 160 MB PSD file (for a 2 layer document). Like most plug-ins, I recommend that you only tap it when you really need its functionality. Otherwise, stay within the nondestructive workflow. 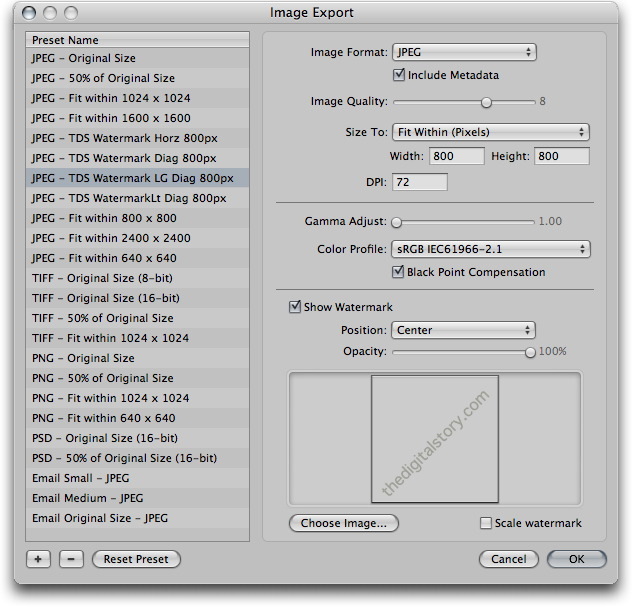 You have the essentials of Layers in Photoshop, but certainly not all of the functionalty you'd find in CS5. You have nine blending modes: normal, lighten, darken, screen, multiply, overlay, soft light, hard light, and color. You also have basic masking tools. There are opacity sliders for both blending and masking. 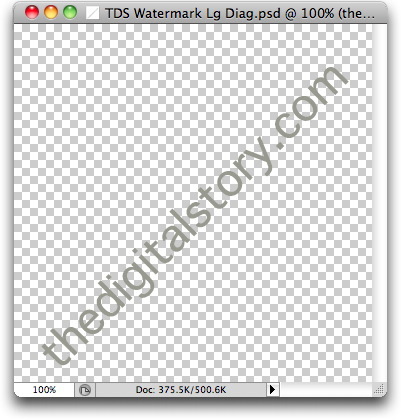 At this point in its development, Perfect Layers doesn't play well with Photoshop CS5. You can open a Perfect Layers document in Photoshop, and have those layers available to you. That's nice. But, in my testing, if you make any changes to the document in Photoshop, you lose your layers upon returning to Perfect Layers. Also, you can't import a Photoshop layered document in to Perfect Layers and use the layers. It comes in flattened. I'm hoping that this problem is resolved by the time onOne finishes the software. This is in public review now, and my feedback is that I would like layer compatibility between Perfect Layers and Photoshop for final release. As for using the software, I very much enjoyed the experience. To me, it feels like a more modern version of the Layers interface. I'm sure some Photoshop experts might not like it because they are already comfortable with the legacy tools. But for photographers trying to get their feet wet with layers, I think this is a nice introduction. And it's a handy tool within the Lightroom environment. 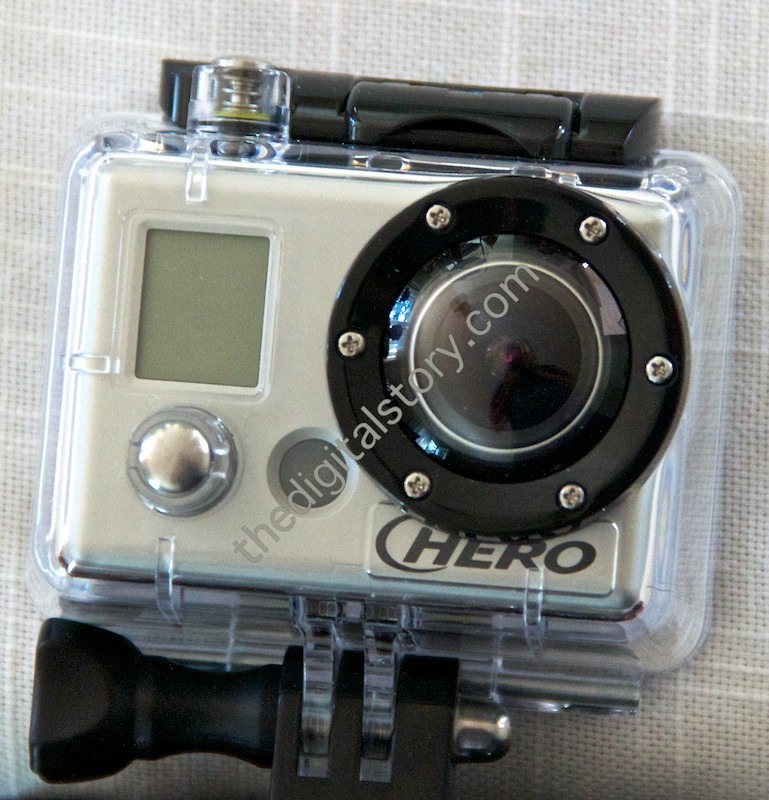 Will Perfect Layers be worth the estimated $150 price tag? That depends on the improvements that are added during the public review period. It also depends on your personal workflow. If you use layers often, I think the tools in Photoshop are more robust. But if you're primarily a Lightroom or Aperture user who ocassionally wants to use layers for a particular image, then this plug-in might make sense. It will be easier to judge its value in the coming months. In addition to showing off your work on Flickr, you can become a museum curator and create galleries of images by other photographers. Each gallery can display up to 18 images, and it's a great way to show others interesting shots that you've discovered. It's a feature that many Flickr users are aware of. I was thrilled to read that Eye-Fi has enabled a direct mode feature to its X2 series of cards. I had read in some of the reviews on the new iPad/iPhone app page that this functionality was difficult to enable. I decided to give it a spin (was going to anyway!). Direct mode transfer with an Eye-Fi Pro X2 card to an iPad. Click on image for larger size. Photo by Derrick Story. The first thing I had to do was update the Eye-Fi Center software to the latest version. You can do this easily within the app. 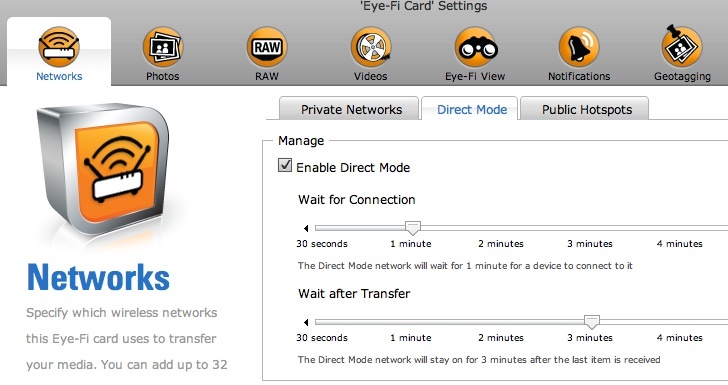 I then connected my Pro X2 card to the MacBook Air via the Eye-Fi card reader. I could use the built-in SD card slot on the Air, but I've learned that Eye-Fi cards like their own reader if one is available. Things just work better. I then was able to update the firmware on the X2 card. This took about 30 seconds. Once I did that I could go to settings in Eye-Fi Center and enable Direct Mode. 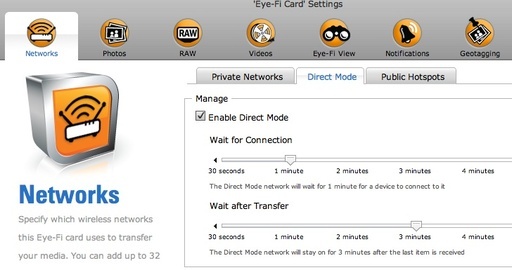 Enabling Direct Mode in the Eye-Fi Center software. After I hit Save, I checked my other settings, then ejected the card. I put the Pro X2 in the Canon 60D, and took a couple of shots. My iPad was ready to go. I had downloaded the latest Eye-Fi software from the iTunes App Store. So all I had to do was enable Direct Mode on the iPad app, and then I could try a transfer. I picked one of the images on the 60D, protected it (I have selective upload that uses the protect function to determine what gets uploaded), and within 30 seconds, the image appeared on the iPad. So my advice is to explore all of the settings in the Eye-Fi Center and in the Eye-Fi iPad/iPhone app to make sure you have all the Ts crossed. I'm going to continue to test this setup in different environments. I'll report anything new I find out. But so far, so good!